Motherhood comes with all sorts of trials, errors, victories, tears and love, lots and lots of love! I have been a proud member of “motherhood” for almost 5.5 years and boy have I learned many things! Things I thought I would never do, I’ve done, things I knew I would do as a mom, I don’t and actually it’s what makes motherhood such an exciting journey! You never know the situations you will be put it, the things your kids will do/say or even how you will react to said situations! I want to share with you a few things I’ve learned that have really helped this journey go as smooth as possible! 1. Do not, I repeat do not sweat the small stuff! This will age you, make you have wrinkles and completely wear you out! It really doesn’t matter if your little girl wants to be a ninja turtle in Target or if your little boy eats 2 packages of yogurt melts before you check out….the checker totally gets it or if they dont, they DO NOT have children! Promise! 2. Always, always have on-the go snacks! I’m not sure if my kids just literally don’t think I feed them but I am constantly looking for healthy, great ingedient on-the-go snacks! 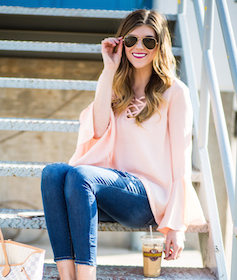 These are totally our favorite! I love that they are clear so you can see exactly what’s in them plus the ingredients are so clean and I don’t worry if I just throw one of these their way! They love all of the flavors and I’ve even tasted them because I’m that mom and wan’t to see what they’re eating! ha! 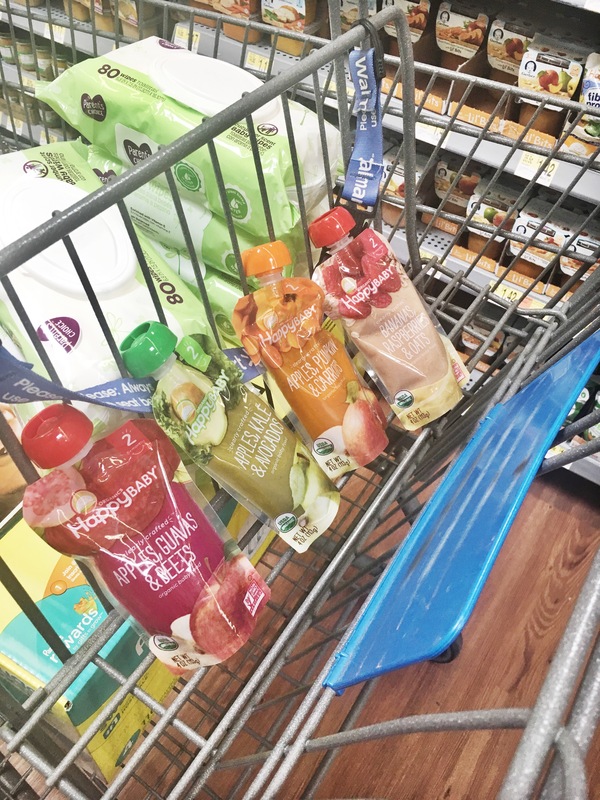 I picked these Happy Baby Clearly Crafted™ pouches up at Wal-Mart and now they are always on the grocery list–click that link for a coupon! 3. Slow down & soak in the moments! I’ve written an entire post on this before so head over there to read it because it’s good. You might bring the kleenex because I definitely shed some tears writing it! Read it here! Let it go, mama! No, I’m not signing Frozen for the 19238019284 time. I’m telling you to let go of that idea of perfection. This means in your self image, your marriage, your husband, your children, your house cleaning skills…all of it! I promise you will never achieve perfection in this earthly life but you know what? In the eyes of God you are perfect in every way. Let that be enough and be content in your daily life living through him! I hope these 4 things I’ve learned through motherhood shed a little bit of hope & light to the hard days!